The Museum of Ontario Archaeology invites you to Paint Night with our Artist in Residence, Moses Lunham. 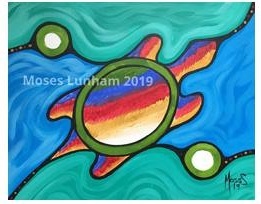 Moses is a First Nations artist from the community of Kettle and Stoney Point First Nation. He has been artisan for over 30 years, drawing upon his heritage for inspiration. 25 spaces are available (recommended for ages 12+).All supplies and materials are included. To register, call 519-473-1360, or click the button below. 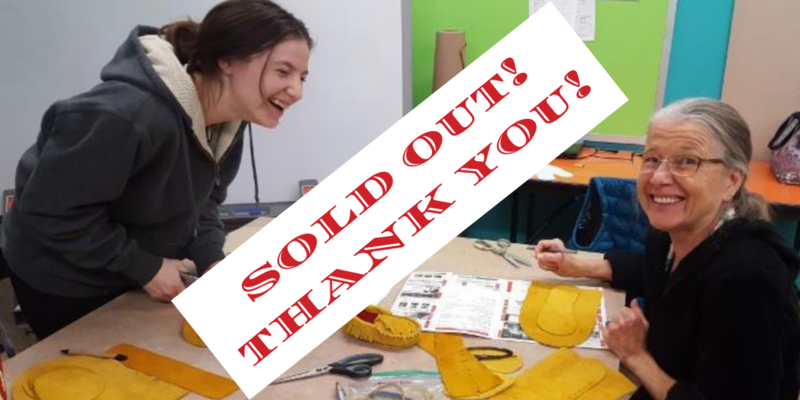 Moccasin Making Workshop – SOLD OUT! This event is now SOLD OUT! Thank you to everyone who registered! Make your own pair of moccasins from genuine hide in this highly popular workshop. Great as a gift or for yourself. Cost: $90 (up to size 7.5) or $95 (size 8+). Members save 10%. Advance payment required. Ages 14+.